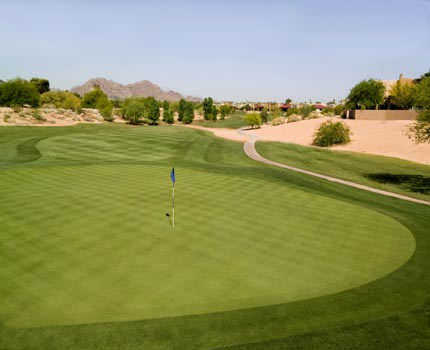 Silverado Golf Course in Scottsdale is a championship course that is as scenic as it is challenging. The layout features elevated tees that offer stunning views of the surrounding Camelback and Mummy Mountains. 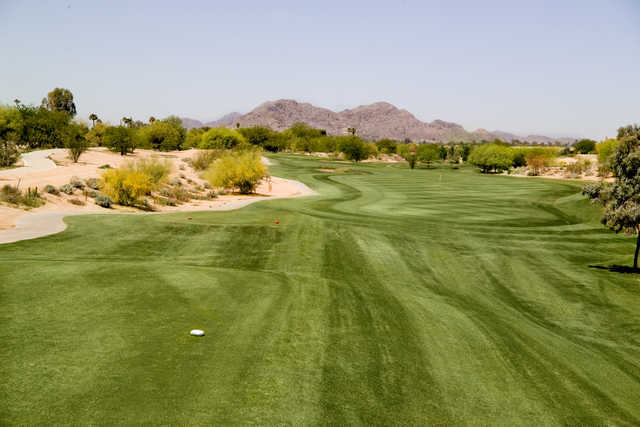 Silverado Golf Course in Scottsdale is a championship course that is as scenic as it is challenging. The layout features elevated tees that offer stunning views of the surrounding Camelback and Mummy Mountains. Narrow fairways and strategically placed bunkers keep golfers on their toes, ensuring that the scenic views are not too distracting. Water hazards also come into play on a few holes to make Silverado Golf Course even more interesting. The golf course accommodates both low and high handicappers, offering enjoyment no matter what your skill level. 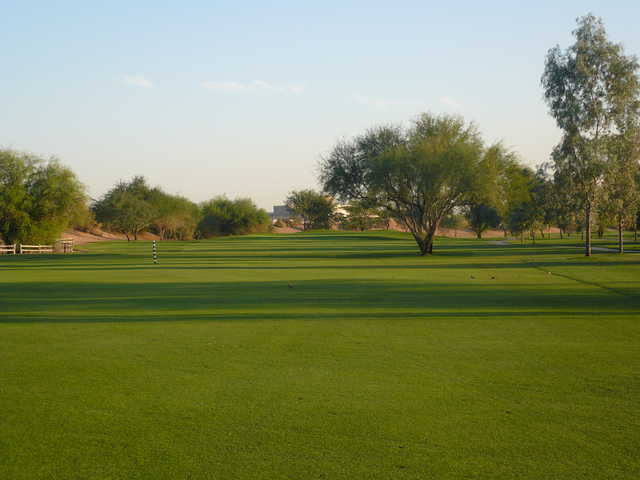 Silverado is a nice, well maintained course which is integrated into the Scottsdale Green belt. I would disagree with another review and say that the course is quite easy to follow and point out that there are 2 sets of bathrooms, one on each nine. There are very few fairway bunkers and just one water hazzard, on 18. Silverado is no Troon North, but if you're looking for a convenient, reasonably priced local round, I'd highly playing there. The course was ok but I will never play it again. The lay out of the course was the most confusing I have ever experienced, there were no maps or bathrooms and the concession trucks did not have anything to really choose from.